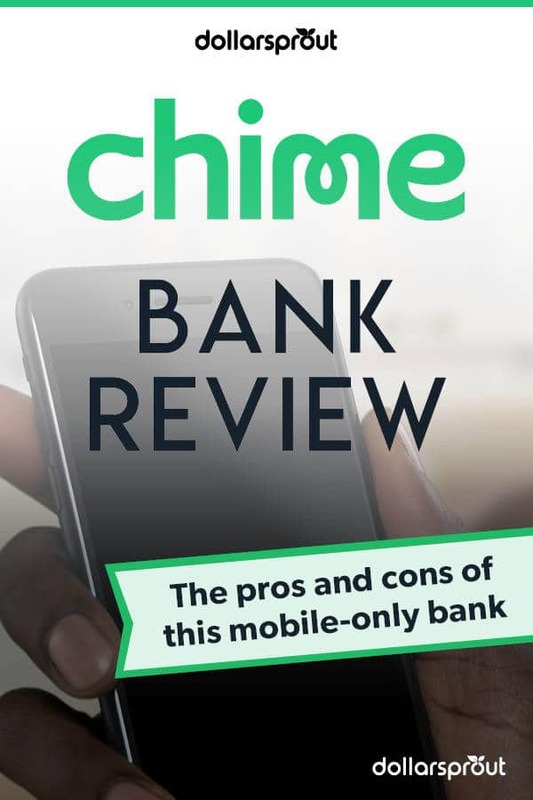 In this Chime Bank review, we cover the services and accounts offered by the bank to help you decide whether it’s the right fit for you. Chime Bank focuses on providing mobile banking services. As such, the bank operates no physical branches. Because Chime is a mobile-only bank, it tends to focus on millennial customers looking for low fees and accounts that make digital payments easy. If you like the idea of a fully digital bank account that you can access from your phone, then Chime might be the bank for you. The Bottom Line: Chime Bank is a mobile-only bank that will appeal to customers who want an easy way to do their banking from their phone. However, a more fully-featured online bank may offer higher interest rates and a similarly inexpensive fee structure. Chime styles its checking account as the Chime Spending Account. It works just like a normal checking account does, making it easy to access your cash when you need to by swiping your debit card or visiting an ATM. Where the account differentiates itself is in its features. Chime positions itself as a low-cost bank, and its Spending account shows it. There are no foreign transaction fees, no monthly fees, and no overdraft fees. You can use the account to its fullest without having to pay for the privilege. There are two fees that you should keep an eye out for. One is the out-of-network ATM fee. Chime Bank has a large ATM network thanks to partnerships with MoneyPass and the VisaPlus Alliance. You can use any of these ATMs free of charge. If you use an ATM on another network, however, you’ll incur a $2.50 fee. This fee is in addition to the fee charged by the ATM’s owner. You’ll also have to pay if you want to deposit cash to your account. If you have extra cash on hand, the only way to deposit it to your Chime account is to visit a local Green Dot cash deposit location. These businesses often charge fees for their services. Electronic check deposits and other transfers are free of charge. The account also doesn’t offer a typical checkbook. This doesn’t mean that you cannot write checks. Chime will write and mail checks on your behalf up to $5,000 per check and $10,000 per month. There is no charge for this service. Finally, the Chime Spending Account gives you early access to your paycheck. If you sign up for direct deposit, you can get access to your paycheck as early as two days before your normal payday because Chime will process your paycheck more quickly than other banks. Chime’s savings account is a standard savings account. It lets you store extra money that you may not need in the short term, offering interest to help your balance grow. Unlike most online savings accounts, Chime’s savings account does not offer a high rate of interest. Most online banks handily beat traditional banks when it comes to interest rates due to their lower operating costs. Chime instead focuses its efforts on helping people put more of their own money into their savings accounts. Chime offers three ways to make saving easier. Chime’s automatic savings plan is the easiest to understand. Choose an amount you’d like to save every week or month and the day on which you’d like to save it. Chime will automatically move the money from your spending account to your savings account on the designated day. If you decide that you want to save $100 on the last day of every month, Chime will make those transfers for you automatically. After a year, you’ll have $1,200 in your savings account. The second way Chime makes saving easier is with their save when you spend feature. If you enable the feature, money will be moved to your savings account every time you use your Chime debit card. The cost of every purchase you make will be rounded up to the next dollar and the difference transferred from your checking to your savings account. The more often you use your debit card, the more you’ll save. These types of systems can be very helpful for people who shop regularly as it helps them save without thinking about it. However, they can also be a danger as they can help people justify their spending. Be careful that the idea of saving money time every time you swipe your debit card doesn’t make it easier for you to justify unnecessary purchases. On top of giving you early access to your paycheck, signing up for direct deposit lets you take advantage of Chime’s automatic saving system based on when you receive your paycheck. If you sign up for this service, Chime will automatically move 10% of your paycheck into your savings account on payday. If you receive $800 every payday, you’ll get $720 in your spending account and $80 in your savings account. Overall, Chime’s automatic savings plans make it easier for people to save, but the low rate offered by its savings account is a disappointment. Here are some other things you should know about Chime Bank. One advantage of Chime Bank is that its accounts are open to almost anyone. Many banks use tools like ChexSystems to check people’s financial history. If you’ve closed an account with a negative balance in the past, many banks won’t let you open a new bank account. Chime doesn’t use many of these tools, making it a good bank for people who might not be able to open an account at a traditional bank. It calls this its “second Chance Banking” service. Since it’s an online bank, Chime bank doesn’t have any physical branch locations. They do, however, boast of more than 38,000 fee-free ATMs. It’s important that the ATMs you visit are either MoneyPass or VisaPlus Alliance in order to benefit from free transactions. If you prefer visiting your local bank to do banking transactions, then Chime Bank might not be your best option. But if online banking sounds like something you can get onboard with, then you can definitely save more money (and potentially earn more in interest) with Chime. With an online bank, one of the things you should focus on is its customer service history. There are no branches to visit when you need help, so you’ll be relying on the bank’s customer support tools to get help if you have trouble with your account. Chime Bank customer service aims to be easy to work with, offering support seven days a week. You can call Chime Monday through Saturday between 7 AM and 7 PM central time. On Sundays, the support line is open from 9 AM to 5 PM central time. If you’d rather not speak to someone on the phone, you can browse the Chime Bank FAQ page to get answers to common questions or send an email to the customer support team. The one fee that the bank does charge is the out-of-network ATM fee, which is $2.50. Chime is a mobile-only bank, so it’s understandable to worry about whether you’ll be able to do everything you need to through the bank’s app. The upside of Chime Bank’s mobile focus is that it is able to dedicate its resources to providing a great mobile experience. You can download Chime’s mobile app for both iOS and Android phones. Both apps are highly rated by users on the App Store and Google Play store. The app is intuitive, making it easy to view your account balances, make transfers, and interact with your account settings. If you have any trouble using the app, Chime’s support team is a phone call away. The biggest downside of Chime Bank is its low interest rates. Most online banks focus on providing great interest rates, but Chime pays a rate that is no better than a brick-and-mortar bank. If you’re looking to earn a return on your savings, you should consider another bank. Chime Bank does not offer any other banking services beyond its checking and savings account. Instead, it focuses on making its checking and savings offerings the best they can be. 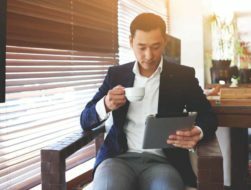 If you want to work with a bank that can offer a full suite of services, including lending and investing services, you should consider another bank. Chime’s great fee structure and automatic savings tools make it a compelling choice of bank for many people, but other online banks offer similar tools with a wider array of services and better interest rates. If you’re looking to get started with online banking or need help learning how to save, Chime is a solid choice. If you don’t have trouble saving money regularly, you will be better off with another bank that offers more interest. We’ve been getting lots of questions from readers about CIT Bank, so we decided to do some research of our own to see how CIT Bank’s Premier High Yield Savings Account compares to other major online savings accounts.